On 13 June 2012, Foreign Policy Magazine published a jolting story online with the title of FALSE FLAG written by Mark Perry. This story has not only disclosed the activities of American CIA, RAW and MOSSAD in Baluchistan of Pakistan but also created many questions, that USA is busy in creating chaos in Pakistan and the region but above this Israel is working to achieve what targets in the extremely sensitive province of Pakistan i.e. Baluchistan? If Israel has disputes with Iran than why Pakistan is being dragged in by Israel? Neither Israel has any business interests in Pakistan nor Pakistani defense policy is a threat to Israel. In spite of all this Israel is active against Pakistan in this region since long time ago under the name of operation False Flag. 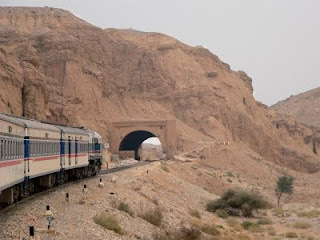 Gold Mine of Baluchistan under control of Baluchistan Provincial govt. According to the False Flag by Mark Perry the agents of MOSSAD are in contact with Jindullah active in Iran and utilizing and guiding it against Iran disguised as agents of CIA. The recruitment of terrorists in Jindullah was also a part of MOSSAD’s operation. According to the report over the order of MOSSAD four Irani Nuclear Scientists were targeted and last target was Mustafa Ahmad Roshan. Iran blamed USA for the murder of his Nuclear scientist which was rejected by USA. USA ordered Director Operations Stephen Kappes and his deputy Michael Sulick of CIA and Chief of Counter Intelligence to investigate the allegation and report to White House. These were the last days of George W. Bush, When CIA reported Bush administration about their weakness and activity of MOSSAD, on such a big disclosure Bush Administration asked for clarification from Israel in writing. But as per routine Israel did not respond to US demand and officials of MOSSAD increased their contacts with leaders of Jindullah in London. This was also disclosed by this report that leaders of terrorist group Jindullah are living in London. According to Mark Iran blamed Pakistani secret agency along with CIA for support of Jindullah while reality was different to this. On the other hand disguised as CIA, MOSSAD provided support to terrorists in Baluchistan and made it easier for India to supervise the activities of these terrorists. Pakistani courts also took suo motto on every insignificant issue but never dared to unveil the actual culprits of terrorism and lawlessness in Baluchistan and award exemplary punishments to the culprits. During the last decade who were those that destroyed rails of train from Quetta to Sibi several times and murdered hundreds of innocent passengers? From pipelines of natural gas to other govt. installations were targeted and destroyed. Military convoys are being targeted and the series of target killing are still going on. How many culprits have been punished by courts? Are the underdevelopment, poverty and other administrative problems are a certificate of allowance for murder and blood shed for taking money from anti-Pakistan powers? If poverty is the cause behind the murders and unrest than nation should be told that how many trillions have been paid by Federal govt. to provincial govt. of Baluchistan for development projects, if these grants have not been utilized for Baloch people or they are undeveloped like before than why blame Punjab or Punjabi establishment? Most painful aspect is that Baloch feudal lords who take the slogan of separation for development of Baloch public as their democratic right are themselves a biggest hurdle in the development of the region. They have themselves enslaved Baloch people and public. Baloch public cannot dare to think without the will of these feudal lords and war lords. 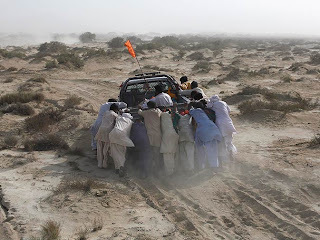 The customs, culture everything of Baloch people are in the control of these lords. There on denial for marriage with a certain person a girl is buried alive along with other women of her family and that Baloch lord proudly declares in the parliament that this (illegal, immoral, un-Islamic murder) is our custom and no one has right to interfere into it. Why do not courts take suo motto action over such crime against humanity. The missing persons are blamed on army to hide terrorism of India over international level.